For a long time, I struggled with taking photos that ended up looking yellow or blue because of bad lighting. The best way to take good photos is to use natural light, but that is not always possible. During the school year and especially in the winter, I can only take photos in natural light on weekends. In this blog post, I'll show you how I use my iPhone to edit my photos and make them insta-ready! My go-to app for editing photos on my phone is Snapseed. 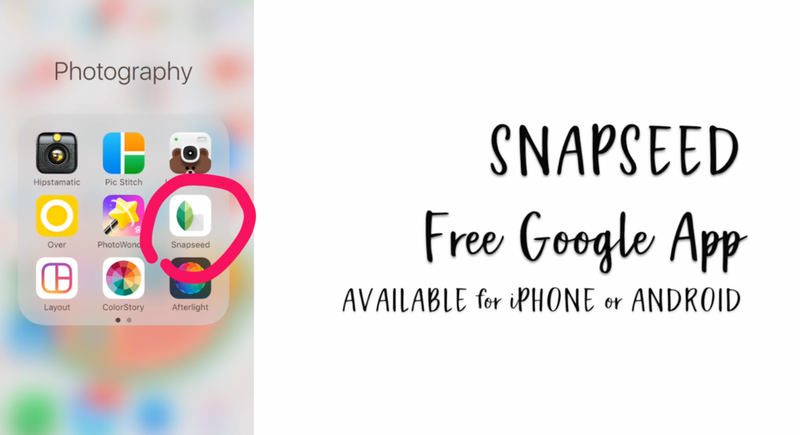 It's a free Google App that is available for iPhone and Android. This app used to be a paid app, but now it's free! It's a powerful app that allows you to edit your photos without using programs like Photoshop. 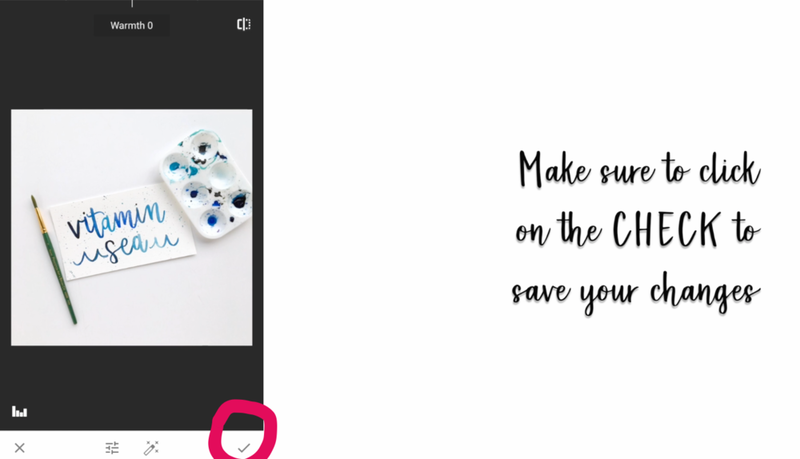 After you open your image on Snapseed, click on the Pencil at the bottom of the screen to bring up all your tools. I like to start by adjusting the White Balance of my image. This makes it so that the areas of your image that are supposed to be white actually look white (and not yellow, blue, or another color). To adjust the White Balance, just click on the eye dropper at the bottom of your screen. Then select any spot on the image that is supposed to be white. You can move around the image and see how your photo changes. Once you are happy with the balance, click on the check at the bottom of your screen to save. It's already so much better! Next, I like to use the Tune Image tool. 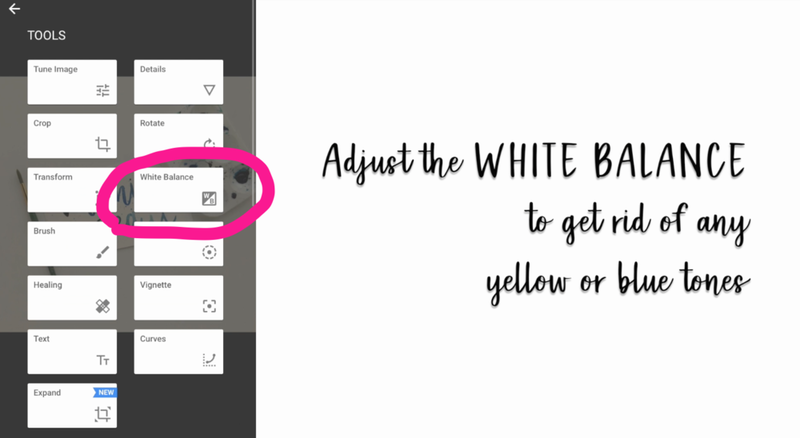 This tool allows you to change the Brightness, Contrast, Saturation, Highlights, etc. Just scroll up and down on the screen to select the different tools. 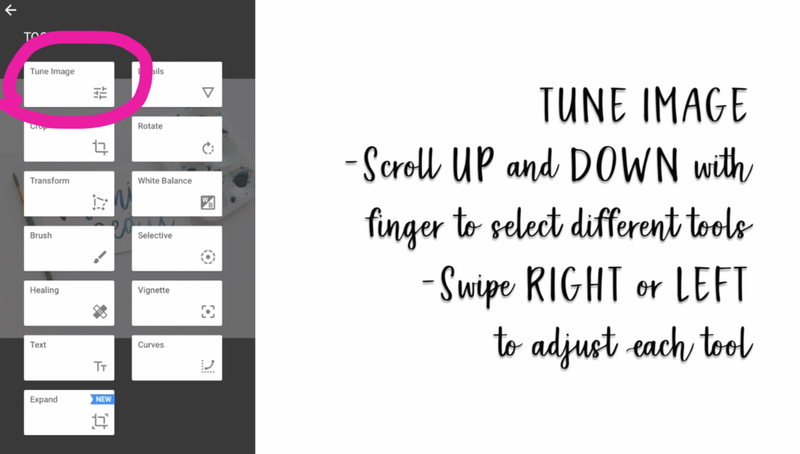 Once you have a tool selected, swipe right or left on the screen with your finger to increase or decrease the tool you have selected. Keep playing around with the tools. There is no one formula for editing since each picture that you edit is going to be different. The last tool that I like to use is the Selective Tool. This tool is awesome because you can edit specific areas of your photo without changing the whole image. 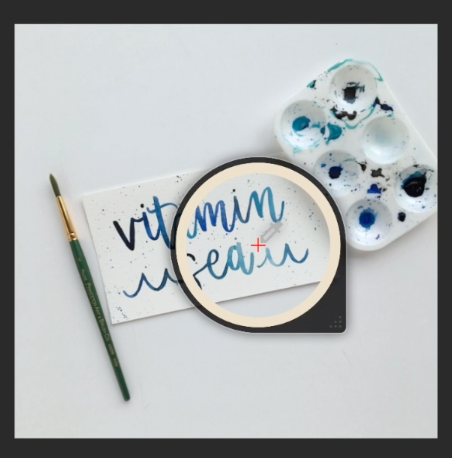 For example, you can change the brightness of the background without affecting the brightness of your lettering. With the Selective Tool, you can adjust the Brightness, Contrast, Saturation, and Structure of the parts of the image that you select. Try not to brighten the image too much or your lettering will start to disappear into the background. You can always go back and turn down the brightness or click on the X to start over if your image is starting to look a little too crazy. Once you're happy with everything, Save a Copy so that you don't lose your work! I like to keep my original image just in case I ever want to go back and edit something. Thanks for reading! If you have any questions or have an idea for another tutorial or blog post, leave me a comment below!